Why do you charge that for 15 minutes work? I’ve booked you, now what? I am by no means an artist, so please forgive the quality of the diagram, however I would hope that it may help you visualize the process of handfasting a little better. With the couple facing the guests and the officiant standing behind them, hold hands [the two hands that are naturally together, brides left, grooms right] Take centre part of cord to a loop and thread upwards from under the hands to just above the hands. The hands should be between the cord and the officiant. Drop the loop down over the hands towards the officiant. Pass the two ends of the cords through the loop under the hands. Pull to neaten. Repeat for each cord. [you can let go of the cords at this time. Once all the cords are looped over, gather the ends and make the knot. 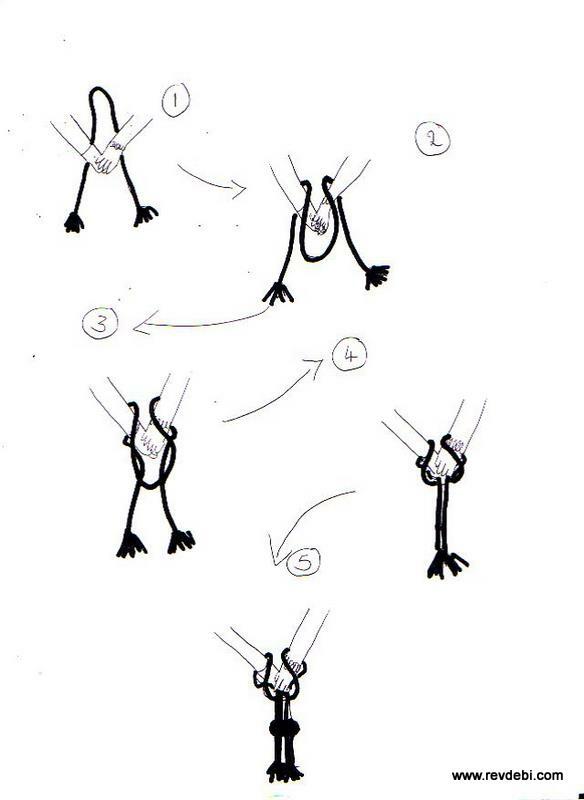 If you have looped correctly, the couple can remove their hands and the knot stays tied. Do not tighten too much, allow the room to remove the hand. very grateful for this info .. thank you! Thank you – I am officiating a formal handfasting ceremony tomorrow, and this was very helpful!! What kind of knot do you use to tie the cords together at the end? Whatever knot you are good at from that angle 🙂 As long as you keep the cords loose around the hands to allow them to extract themselves without untying – you are golden. You can get as fancy as you like! Excellent, what would definitely go well with this is an actual video performing the tie.. however this is great!